Drummer Adam Pitts makes full use of Lawson's personalised drum kit during 'Standing In The Dark'. 9. 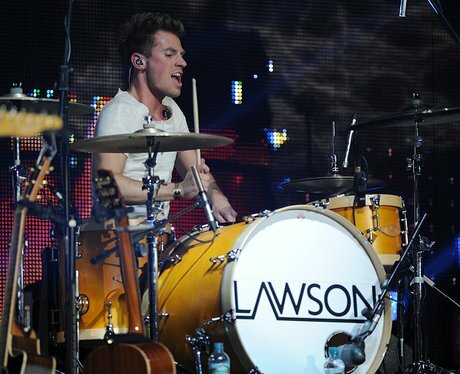 Drummer Adam Pitts makes full use of Lawson's personalised drum kit during 'Standing In The Dark'.